Travelling with Moffat & Williamson ensures a comfortable, safe & worry-free experience. All our team are seasoned professionals in their respective fields including our driving staff who are all PVG checked and the Company also provides them with CPC training annually. AUC 4 - Markinch - Star - Auchmuty H.S. AUC 5 - Markinch - Auchmuty H.S. 7 (BM1) - Fincraigs - Gauldry - Balmerino P. S.
ABC is a new multi-operator scheme for Dundee which allows you to travel on All Bus Company services across Dundee with one smart ticket. 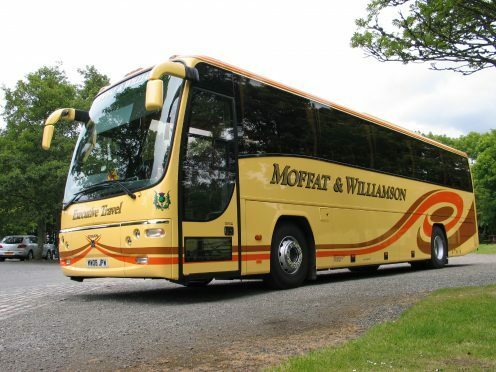 Moffat & Williamson Ltd is a long-established Coach/Bus operator based at St Fort (North Fife) and Glenrothes (Central Fife) providing vital services to the local communities and operating tours and hires throughout the whole of the UK and Europe. The Company has been in existence since 1945 and in that time, it has changed ownership on three occasions, the most recent being in 2012. The Company still maintains its identity as one of the most recognised and respected family run coach operators in the UK. For more information about coach trips, timetables or any services we provide, submit an email enquiry using the quick form, or you can telephone us during UK office hours on.